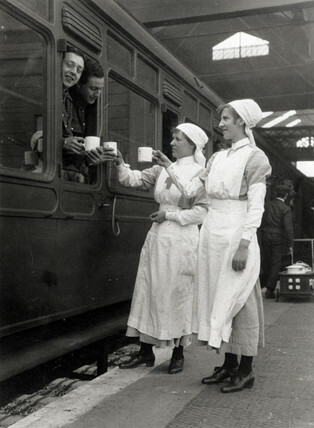 Female red cros workers serving tea to soldiers on the Great Western Railway, WWI. Women were called to work during the war to replace the men who had gone to Europe to fight. Women worked in many areas such as in munitions factories, on the railways and on the buses.